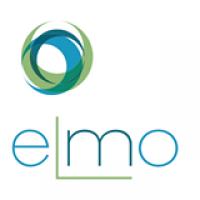 The European Lifestyle Medicine Organization (ELMO) provides leadership in research, prevention and treatment of lifestyle-related diseases through nutrition, physical activity, psychology and public health. ELMO is a non-profit, non-political, non-religious scientific and medical organization. Lifestyle medicine is a branch of evidence-based medicine in which comprehensive lifestyle changes (including nutrition, physical activity, stress management, social support and environmental exposures) are used to prevent, treat and reverse the progression of chronic diseases by addressing their underlying causes. Lifestyle medicine interventions include health risk assessment screening, health behavior change counseling and clinical application of lifestyle modifications. Lifestyle medicine is often prescribed in conjunction with pharmacotherapy and other forms of therapy. Lifestyle medicine is an inter-disciplinary field of internal medicine, psychosocial and neurosciences, public and environmental health, and biology. Key LM principles include prevention strategies that address lifestyle habits, the underlying biological causes (also more distant causes such as urban design initiatives to make cities and neighborhoods more social and conducive to healthier lifestyles), and the pathophysiology common to LRDs (e.g. low-grade systemic inflammation, dysregulated stress axis, metabolic dysfunctions etc.). As such, LM is an adjunct form of treatment that helps to bridge the best aspects of public health and conventional clinical medicine.